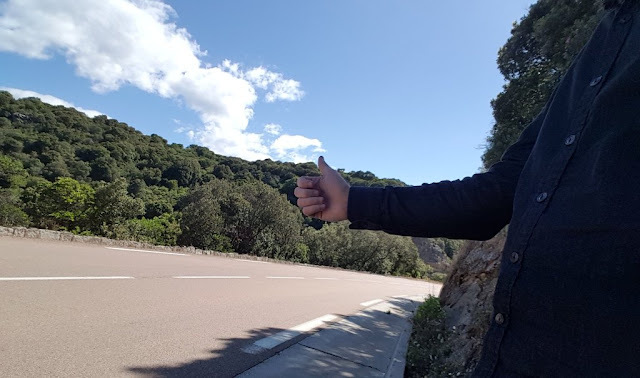 Hitchhiking is a great way to experience cultures and save a lot of money. I have hitchhiked in close to 100 countries and territories with more than 1,000 cars total. I hitchhike when only taxis are available or in islands with unreliable public transport. My advice is just to do it. You will most probably be afraid hitchhiking for the first time like I was, but the only way to lose the fear is just to do it. I recommend beginning on an island where hitchhiking is part of the culture and where nobody will give you strange looks. Located an hour from Brazil, Fernando de Noronha is completely safe and easy for hitchhiking. Every 2nd car stopped on average. No need to ever take a taxi. Every car or every second car will stop. It is incredible and very safe. No need to ever take a taxi. The world’s smallest country is a wonderful island to hitchhike. Full of friendly people. Almost all will stop for you. The best place to start hitchhiking. Very easy and safe. I love this country for many reasons, and hitchhiking is one of them. This small Dutch territory in the Caribbean is a unique travel destination and a very easy place to hitchhike. Very easy to hitchhike in this French territory. Hitchhiked three times and never waited more than one minute. Every car stopped in the Northernmost city in the world, Longyearbyen. No need to take the expensive airport bus. American territory in the Pacific, but does not feel like America at all. Very small and every car or every second car will stop. Very easy and safe to hitchhike on both Tongatapu and Vava’u island. Very friendly islanders. Safe and easy to hitchhike in one of the world’s least developed countries. The locals don’t speak English, but just say auto-stop to avoid misunderstandings.